Established for 10 years No.6 is the ultimate destination for anyone wanting to achieve and maintain healthy, youthful looking skin. 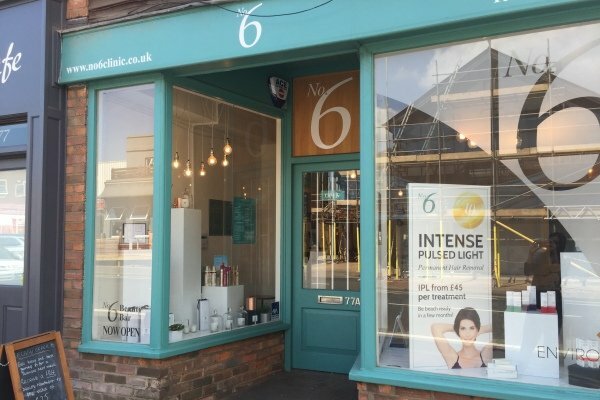 Nurturing clients to embrace age and skin health has seen No.6 establish a reputation for offering supportive and honest advice from experienced and dedicated professionals. This unique clinic in Tunbridge Wells prides itself at being at the forefront of advanced facial treatments. Offering a range of the most up to date and clinically proven treatments for anti-aging, IPL permanent hair removal, and also skin conditions such as acne and rosacea. And our Shop, along St John’s High Street, which opened in 2014, has since become the ultimate destination for client’s beauty and skincare needs, working alongside exclusive product ranges such as Dermaquest, Environ, OPI, Sienna X and Jane Iredale mineral makeup. No.6 attracts clients from as far as London, as well as welcoming loyal local clients from across Kent. To book a free 30 minute consultation to discuss treatment options with our specialist team call the No.6 Clinic booking line on 01892 240120 or visit the No.6 Shop at 77a St John’s Rd, Tunbridge Wells, TN4 9TT.